And just like in most of the World, if you mention “salsa”, you’ll get a different variety or definition depending on where you are located, the same holds true for Aji (ahh-hee’) Chombo – the flavors and recipes vary from region to region in Central America and Panama. Tom and Conan based their sauce on an authentic Aji Chombo recipe from a bartender in Panama. The three versions reviewed here are all based on that bartender’s recipe. 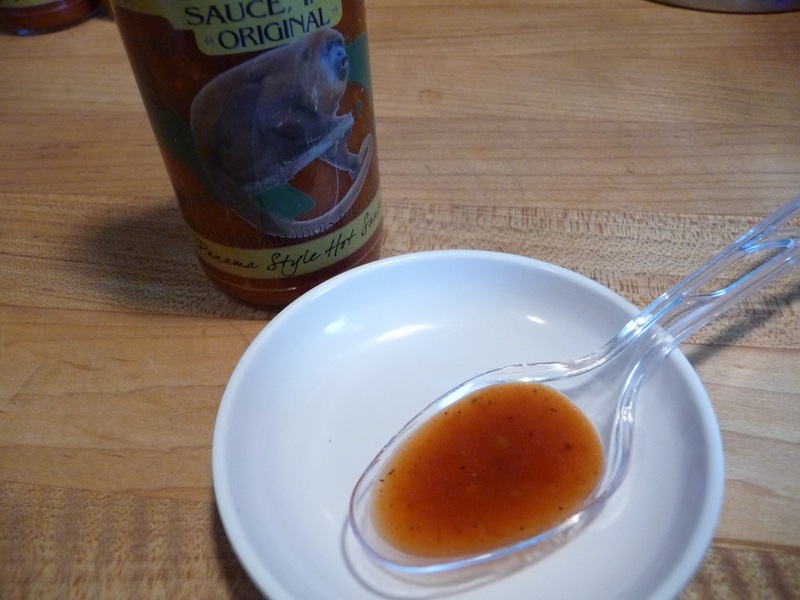 While all three versions of Howler Monkey Sauce have a mustard ingredient, along with turmeric and cumin, garlic and vinegar, their 3 offerings here are remarkably different in flavor. Different in colors as well, there are the bright reds of the Original and Hot versions, and the mellow orange of the Amarillo. 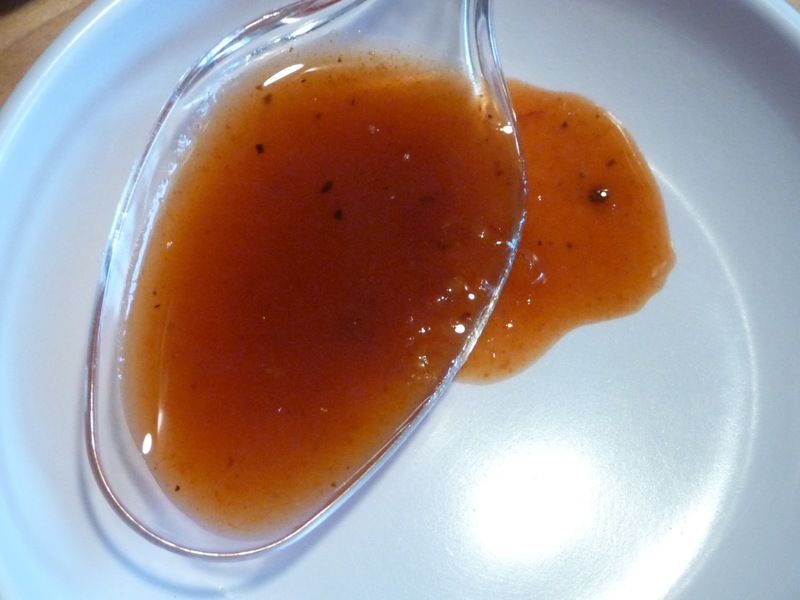 Appearance and texture: The Original is a reddish orange sauce of a thin texture. The bits of mashed peppers and garlic provide some body to the sauce. The restrictor cap is not so much of an issue here, as the tiny bits do get out. But, as usual, we still recommend removing the cap. If you do leave the cap in place, when the bottle runs near empty, you’ll have a good amount of mash and pepper sludge to play with. It’s your call, because that could be fun to eat! Taste: Delicious. A quick heat is followed by vinegar, then the garlic flavor kicks in. 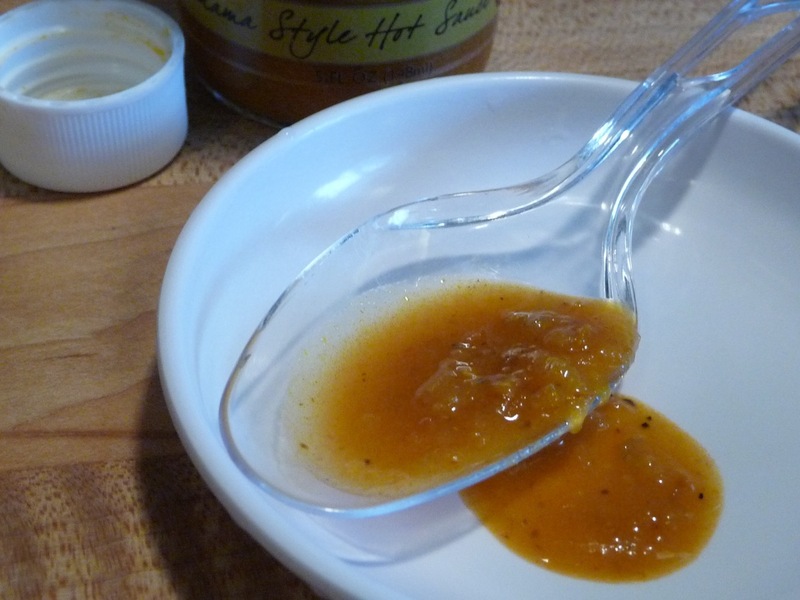 This is a flavorful, fresh tasting sauce. Truly one of the best of the Panamanian style sauces I’ve had. 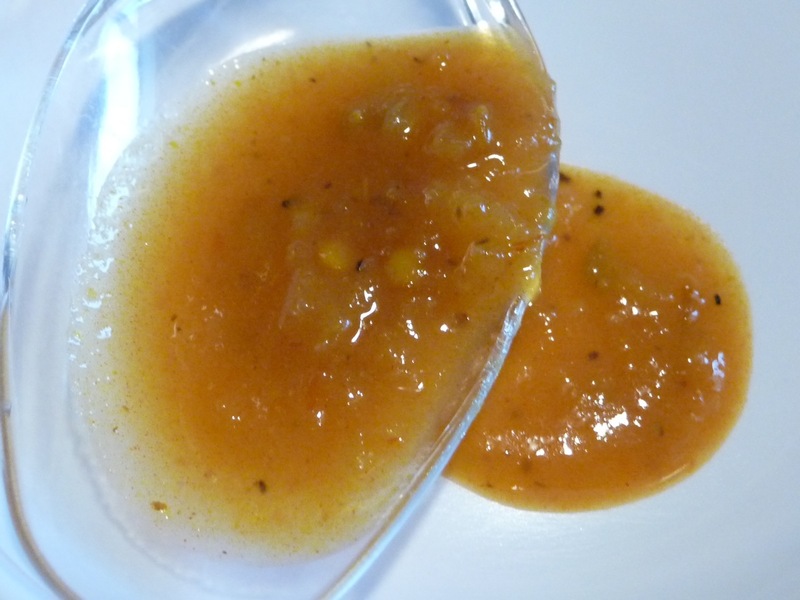 There is an underlying sweetness that comes naturally from the Scotch Bonnet peppers that makes this sauce a good example of an Aji Chombo or Panama Hot Sauce. Heat Level: – The heat hits quick, then leaves you with that fresh taste that only good quality peppers can provide. Overall Rating: – This is a great example of what a Panamanian hot sauce tastes like. Not too heavy on the mustard flavor – it’s fresh taste and mild heat is a great intro to this flavor profile. 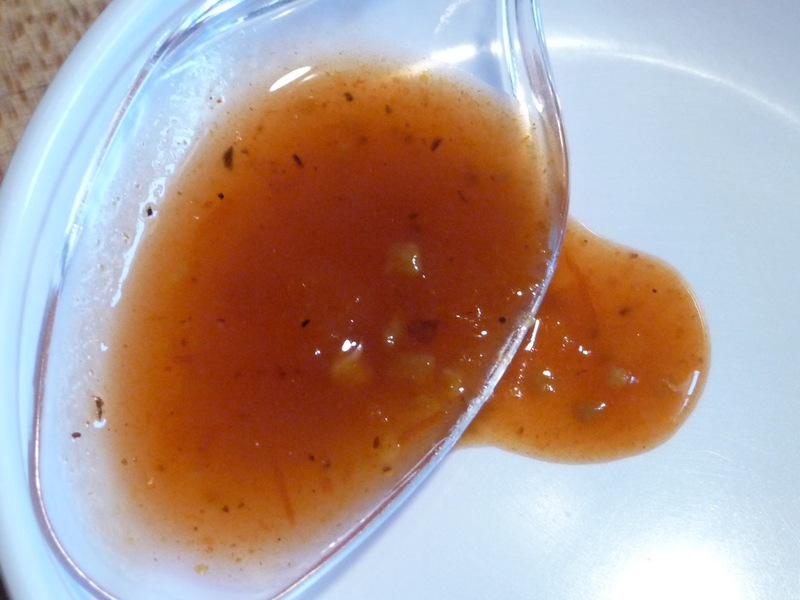 Appearance and texture: A brighter red color than the Original, this sauce has more seeds and pulp. A thicker sauce, the restrictor cap is definitely in the way of the pulp. More vinegar and heat are what I smell first. Taste: Ok, now we are into hot territory. The red habaneros kicks this one up a few notches. A back of the throat burn is now part of the experience. It did make my eyes water. Still, the flavor is good, and the burn is short lived. Heat Level: – It’s hot! But a quick burn that still leaves you with the flavor and taste that they crafted in the Original sauce. Remarkably good with the burn AND flavor. You will sweat with this one! Overall Rating: – Compared to the Original, this one was a bit too hot for me. I’m only just beginning to be a fan of good, habanero based sauces, and the addition of the red habanero to the mix here is just a tad too much. This baby will light you up! Appearance and Texture: A dark orange sauce, the Amarillo brings with it a whole different color and blend. It’s the thickest of the 3 sauces here, and definitely requires removal of the restrictor cap to get the full effect – the thick, mustardy pulp that is this sauce. Taste: This one is definitely the mustard king of the trio. 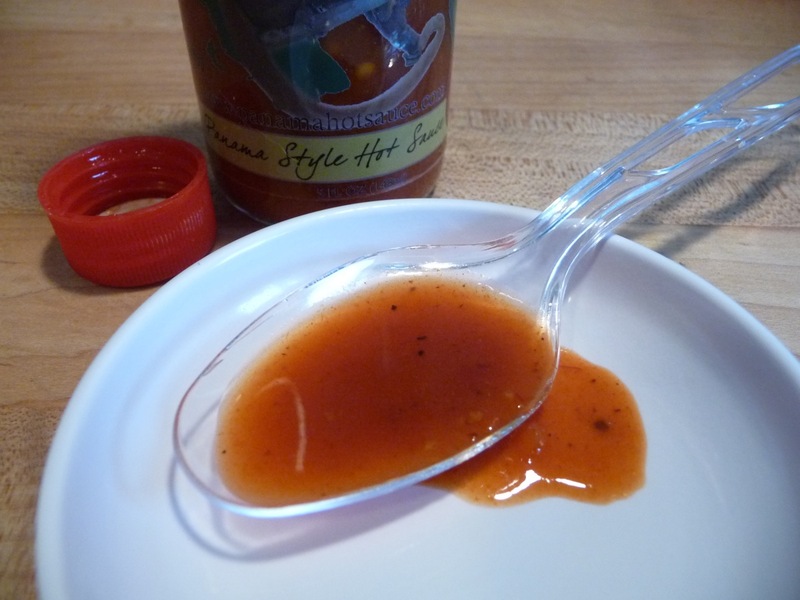 On par with other Panama style sauces, it brings the vinegar and mustard flavor on first and foremost, followed by garlic and then of course plenty of heat! There is a slight bitter flavor that comes in too. Although this is my least favorite of the lot, Conan assured me the Amarillo was meant to be in between the Original and Hot versions. Even Marilyn thought I was crazy to call this one the hottest of the 3, but I stand by my impressions. Her opinion was the same as Conan’s… it’s in the middle heat-wise of the other 2 sauces. Heat Level: – This one really lit me up. I found it to be the hottest of the three. Upon talking with Conan, he and I were both surprised, as he told me they designed the Hot version to be the ultimate, and the Amarillo to be the middle of the pack. Just goes to show, everyone’s taste buds are different. Overall Rating: – I don’t know what food I would put this on. It’s so mustardy, and so hot, I can only think of soft pretzels with coarse salt. Perhaps a grilled brat. Just too hot for me to enjoy. But I’m a weeny when it comes to hot sauce that bring on this much flavor and heat. Flavor-wise, these sauces are worthy of any Chilehead’s pantry. The Original or Hot could be staples on anyone’s table. And the really hot Amarillo is for the Chileheads out there that just crave the big burn. The restrictor cap is useless on the Hot and Amarillo versions. It may be OK and acceptable on the Original, as that is the version of a “table sauce” that makes sense for “sprinkling” the sauce, but for big boy bites, you’ll want to remove those plastic caps. Howler Monkey has been through a few label design changes, but always with clear labels. Even with the improvements in the design, I still find them hard to read. In theory, the clear label does allow for more of the sauce in the bottle to show through, but the lettering and print on the clear label is too small to read. The main graphic, a Howler Monkey on a branch is blurry and hard to see. These clear labels just would not, or do not, stand out on a shelf of dozens of other products. I think my number one recommendation would be to get some artwork and graphics that really pop, on more standard labels. I should point out that the top of the label with the “Howler Monkey” is easily readable, and the bottom band features a nice scripted “Panama Style Hot Sauce” that is also very legible… it’s the rest of the label I have issues with. On a positive note, the plastic screw caps match the shrink wrap (serrated for easy removal) – black for Original, red for Hot, and white/yellow for the Amarillo sauces. Nice touch! On their website, they have posted a great little history and background on the Scotch Bonnet / Aji Chombo peppers indigenous to Panama. I love the fresh flavor of these sauces, but I must disagree with Brian on the heat levels. To me, the Amarillo was so much milder than the hot! While all of these sauces have the capacity to light you up, depending on your heat tolerance, I would consider using the original as an everyday table sauce, the Amarillo as a great accompaniment to any food that needs a little kick, and the hot as a sauce best reserved for the true chileheads! I must say that Tom and I were very pleased with this review. I however will take sides w/ Marilyn in regards to the Amarillo. To me the Amarillo doesn’t surpass the Hot in heat and it goes great w/ many a dish. Hands down favorite is any type of rice and bean dish with Amarillo. A few splashes, mix and enjoy! When we all meet in person I’ll have to try and convince Brian otherwise :). Thanks again for your time and giving us a great review! As we would say in Panama….Verde soon come! Thanks Marilyn! I’ll have to get Brian to give it another try on some different foods. I still think he may have gotten a few too many seeds when he tried the Amarillo 🙂 ! I will re-visit the Amarillo soon as a stand alone taste test. I may have had “taste bud burn out” from trying too many sauces at one sitting. I have all three of these sauces. Love them all, but then I do like hot sauces. I use the Amarillo on steak and also grilled chicken, and when making ceviche. The other two I add to many dishes that I cook. Good product! I use all 4 ( verde is brand new!) of these sauces all the time! Fresh and flavorful and very versitile. The amarillo on blackened fish tacos is terrific. Great review! I am a very big hot sause fan, having been given tiny bottles of Tabasco with my c-rations when I served with the USMC in Vietnam. Conan introduced me to his sauses a year ago and I have been a fan ever since. It is by far the BEST all around hot sause on the market today IMO . I do agree that there are 3 levels of heat, which makes them better on different foods like steaks, fish, pork, etc. I have used 3 of the 4 and still think my favorite for everyday use is the original. Rock on Howler Monkey!! I made an aji from a recipe once and good lord it lit me up. I had to mix it in with a cream sauce just to make it usable for enchiladas. These sauces sound and look good. I absolutely LOVE all four sauces, but the Amarillo is my favorite by far. I don’t think it is hotter than the Hot and it has tons of flavor. It goes great on everything, especially steak tacos and carnitas. The Verde is my second favorite and I Facebook stalked them in order to know when it was finally on sale!! We used the Verde to spice up Pea Soup and it was amazing. In fact, we dream up things to make so we can use Howler Monkey Sauces… And it’s one of the reasons we stop off at Engine 15 for a bowl of Tomato Soup and Empanadas for lunch. Hot goes in the soup and Amarillo for dipping the Empanadas. What a lunch!! Great review, but I disagree: the Amarillo is not too spicy at all and I LOVE the flavor. The Hot is too hot for me, but I love th flavor. I have eaten all three on many things: pizza, eggs, hash, Latin food…pretty much any reason I can find to use it, I do! Thanks Christina! I will definitely have to “revisit” the Amarillo again. After four years of college living in Dallas. Texas, and enjoying lots of green habanero sauces, my son Carl says the Howler Monkey Verde is the best green sauce he has sampled. 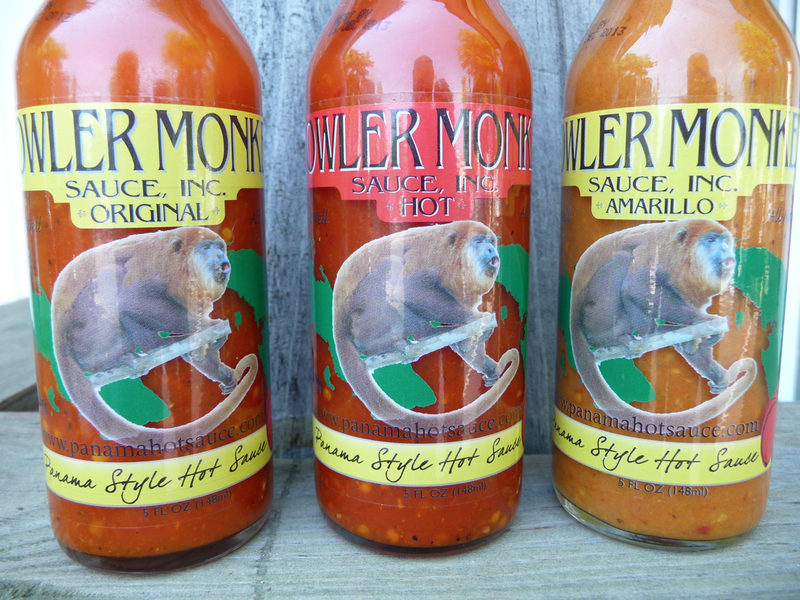 It is the most flavorful of the Howler Monkey sauces and our favorite. We go through two bottles a month. Try it and see, you will like it. Thanks for weighing in, Mike. I’m sure Conan and Tom are happy you use so much Howler Monkey sauce!